"Velresco brought fresh insight, along with a range of tried and tested tools and techniques that leaders and managers could use to improve ways of working. I was particularly impressed with the way they were able to work in partnership with other providers and Trust staff to take forward the work. 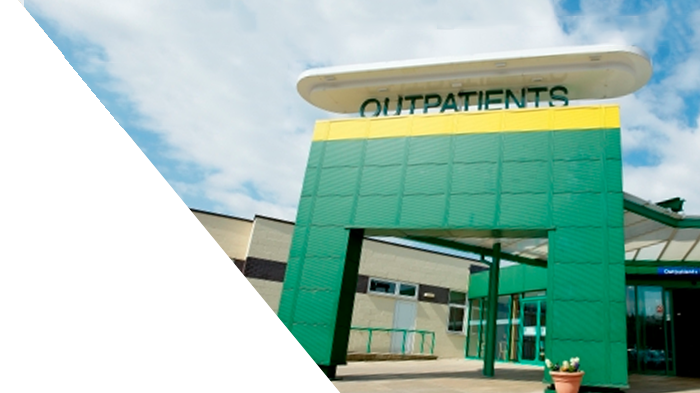 They were able to help us develop a stronger sense of focus, as well as thinking about what needed to be done to provide the right care for our patients and to secure a sustainable future"
Airedale NHS Foundation Trust is an award winning NHS hospital trust. They wanted to take a fresh approach to the way they supported clinical leaders and managers in their efforts to bring about service improvements and prepare the Trust for the future. Specifically to ensure they all remained focused, continued to work well together, and felt supported to deliver the large changes required of the NHS. We joined forces with two other suppliers; Shepherd Taylor partnership - who were delivering Coaching and Team Development, and Bradford University School of Management who were delivering Executive Education. Our role was to complement these skill sets by ensuring that what was being learnt could be deployed operationally within the hospital. An innovative approach to workforce communication - the "The 2 minute lecture" which focusses on minimal 'transmit' of information and instead allows time for conversation and debate. Structured project steering packs, these utilised tried and tested templates for providing key information while remaining concise. Tools to aggregate project information and ensure alignment through a "Programme on a page" dashboard. Enagagement sessions with the general managers to align on priorities and develop a set of criterion against which projects could be assesed. Airdale were able to pick best-of-breed solutions from several valued suppliers, the whole process worked harmoneously and from a customer perspective was viewed as a joined-up successful initiative. The success of the engagement style and in particular the "2 minute lectures" created a pull from the target audience for more engagement. Considering the busy day to day jobs of these people this was seen as a major success. Key topics like "Making change stick" and "Influencing Effectively" were embedded into ways of working much more rapidly and effectively. There was much higher transparency within the Service Improvement Team thanks to the project templates and how they were visualised, this in turn led to much higher accountability and accountability leads to delivery. People trusted what they were seeing. Bringing the latest thinking into any organisation is a great way to stay ahead and keep things innovative. We have worked closely with many Universities in our time. We believe that these insights should always be tempered with an operational-reality-check to ensure that you get maximum value from them and that they don't simply become 'nice ideas'. Our experience in doing this has left us with a specific expertise in performing the delecate balance of turning academic value into practical ideas and solutions that fit your business.